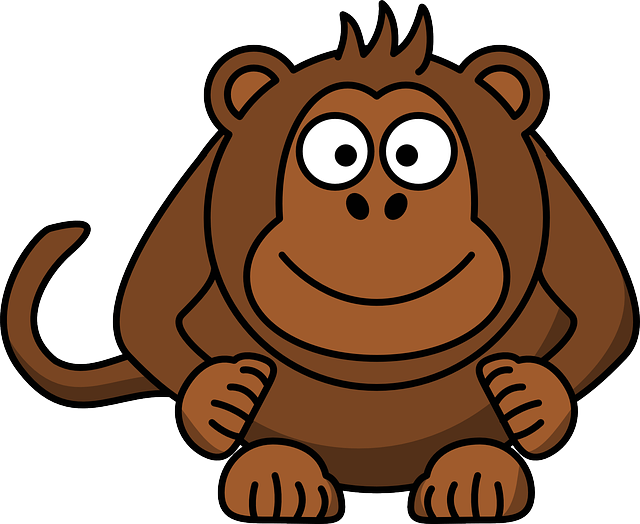 Monkey Facts | Cool Kid Facts . Oh monkeys are naughty creatures, who love to play around and terrorize people and other animals! Did you know that a monkey is a primate and they belong to the suborder of Haplorhines? Now that’s a big word to get your head around! There are around 260 monkey species in the world. Most of them live in trees except for a few who seem to prefer the ground like baboons. In general, monkeys are thought of as highly intelligent animals. Do you think they’re as clever as us? Here are some facts about the different species of monkey. Most species of monkeys have tails except for the mighty ape. There are a few characteristics that are shared by most species. For example there are New World Monkeys and Old World monkeys. New World monkeys have tails that can grasp and hold things, and Old World monkeys don’t have this. That’s pretty cool having such a strong and handy tail! It’s quite easy to see the difference between Old World and New World monkeys just by their faces, which look rather different from each other. The only things that are similar are their noses, cheeks and forward facing eyes. Old World monkeys are found in Africa and New World monkeys are found in South America. 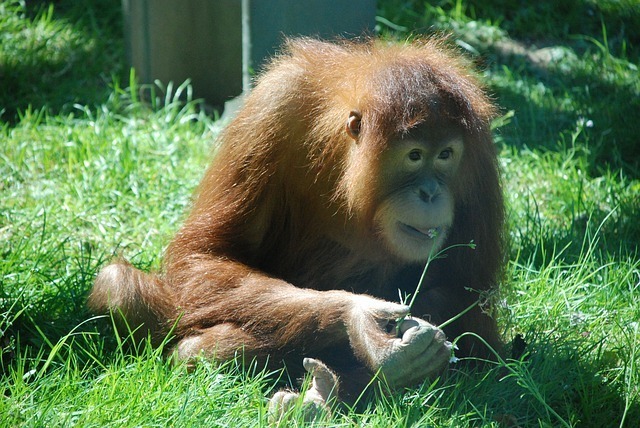 Apes are sometimes mistaken for monkeys but they actually aren’t monkeys. The length of monkeys range from 5 to 6 inches (140 to 160 mm) including their tails. They weigh about 4 to 5 ounces, which is about 120 to 140 grams. But there are some bigger species too that are 3.3 feet long (1 meter) and can weigh up to 77 pounds (35 kilograms). 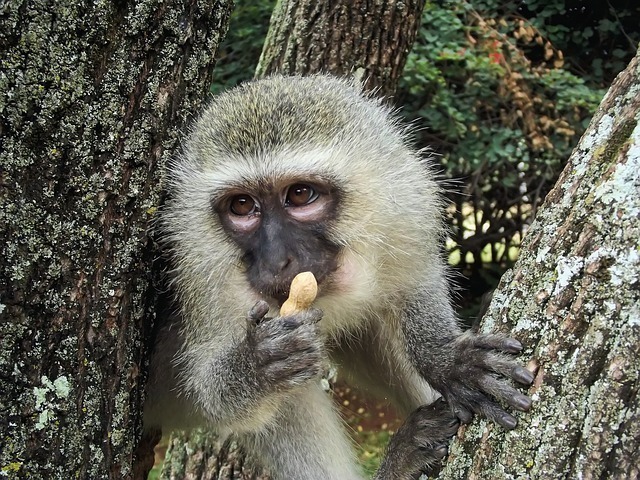 Monkeys of all types have completely different diets, but the most common food that all of them eat are seeds, flowers, eggs, fruits, leaves, nuts, and small insects including spiders. They are very, very sociable and they have a mostly friendly attitude towards humans. Some of them though are a bit naughty as they can cause a lot of damage to crops. They’re seen as pests. Monkeys mostly live in jungles. Howler monkeys live in groups known as troops. In the group, only one male monkey is known to howl in the morning. Monkeys are loud, very loud! You can hear the booming sound of monkeys from about 1 mile (1.6 km) away. One of the monkey species is called a spider monkey. Want to know why? Well this is because it has a really long tail and spidery limbs. Imagine a monkey looking like a spider! They can walk on two legs across the tree tops. Cool! Their tail also helps them to swing, just like Tarzan! 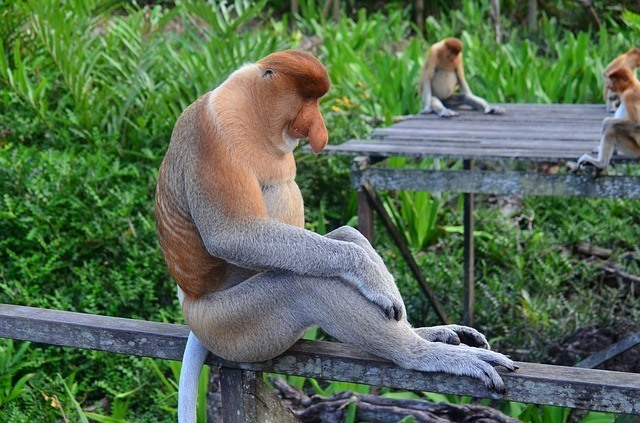 The monkeys with the longest noses are called proboscis. They are only found on the south of the continent of Australia and the island of Borneo. Monkeys are very sneaky sometimes! In cities like Bangkok they like to steal food from wherever they can find it. Watch out if you’re ever there! Now this is quite something…monkeys have feelings, just like us. They can feel love, fear, and compassion. They can also hate things too…so be aware and make sure to keep on their good side. This is cute. Monkeys hold hands and groom each other with lots of affection and love. Larger monkeys are strong and super speedy. They have sharp claws that can actually kill. 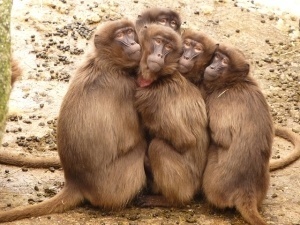 Monkeys work in groups when they’re on the hunt for some yummy food. There’s always a leader who gathers the food, while the other monkeys stand guard. They speak their own language and alert each other to danger. But sometimes a leader will be a bit of a liar. If he’s found some food he likes, he’ll warn the others that there’s danger and keep it all for him. That’s not so cool. 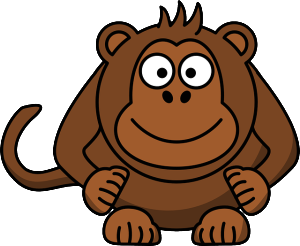 Now you know all about the world of monkeys! They are super cute, yet super naughty too. But remember they’re very clever, so watch out.